If you think the current drought in California is bad, take a look at what some scientists predict for the second half of this century. A new study published in the online journal "Science Advances" predicts global warming will fuel "mega-droughts" in the Southwest and Plains states that are worse than any drought of the past 1,000 years. Mega-droughts last for several decades, rather than years, and affect a wide area. Physical evidence shows they occurred in the American Southwest about 1,000 years ago during a warm epoch known as the Medieval Climate Anomaly. 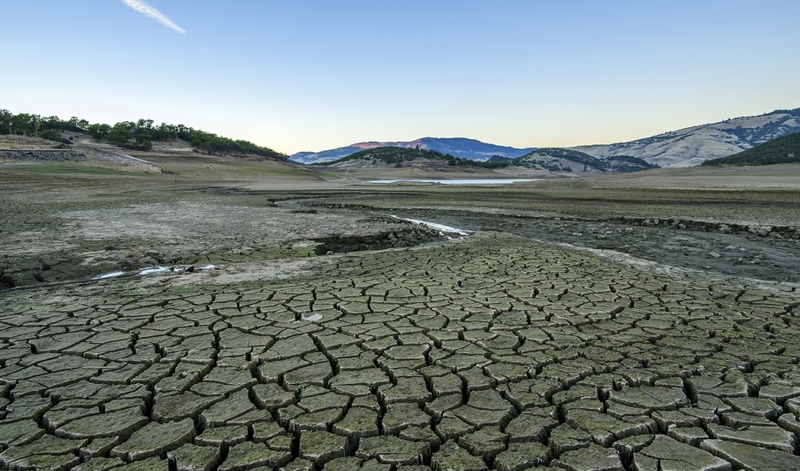 When, or whether, these droughts would return has long been a serious concern to climate scientists, says Jason Smerdon, an associate research professor at the Lamont-Doherty Earth Observatory at Columbia University. Smerdon's team compared models of future climates with historical data, and their simulations predicted an 80 percent chance that a 35-year mega-drought would occur in the latter half of this century. By comparison, the models found only a 10 percent chance of such a drought when they ran the data for the period between 1950 and 2000. And the bad news gets worse: The predicted dryness periods in the Southwest and the Great Plains look worse than previous mega-drought periods. Smerdon says the results surprised both the scientists who worked on the study as well as for the wider scientific community. But one thing they're certain of is that global warming is the main cause of the increased dryness. There are two things that cause prolonged dryness, Smerdon says: less rain and snow on one hand, and increased evaporation from the soil due to higher air temperatures on the other. Both phenomena are the cause of the current drought in the Southwest, while the dryness in the Great Plains has more to do with warming air. No matter the cause, the result will be water shortages on a much larger scale than anything we're witnessing now — and the current drought is already taking a severe toll. Smerdon notes that current research suggests the ongoing droughts in California and Texas can’t be solely attributed to global warming. It would be a mistake, he says, to point to any one thing as the cause. “Everybody asks the question, ‘Is this a consequence of global warming?’" he says. "Well, these events happen independent of our perturbations to the climate. There is background variability within a system that's hard to separate out from the causes. But while climate science tries to separate the signal from the background noise, Smerdon says there's still a clear message: “These kinds of droughts will become more frequent and more persistent as a consequence of an increase in greenhouse gases as we move into the 21st century."